Nature and Culture International celebrates 20 years of conservation success with anniversary events in both North America and South America, bringing together the founders, partners, and supporters who have made NCI’s work possible. Eugenio Espejo Convention Center in Quito, Ecuador. Earlier this year, Nature and Culture International celebrated its 20th Anniversary in Del Mar, CA. 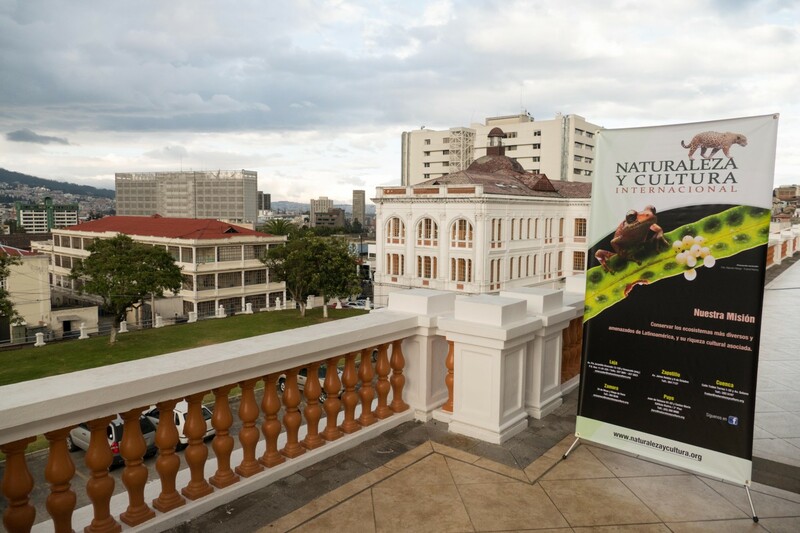 On 29 November 2016, NCI Ecuador commemorated the 20th Anniversary at the Eugenio Espejo Convention Center in Quito, Ecuador. The anniversary commemorated the institutional accomplishments of NCI from 1996 to 2016. NCI was founded on 15 September 1996, with the establishment of the San Francisco Scientific Research Station (ECSF) in Zamora County of the Zamora Chinchipe province in Ecuador. With the aid of the German Foundation for Scientific Research, (DFG) along with Ecuadorian and German university counterparts, the world’s largest tropical montane forest ecology research program was launched in the form of ECSF. During its 20 years, ECSF has implemented more than 80 research projects that have been funded by the German Foundation for Scientific Research. Six hundred and sixty-seven scientific publications of the highest caliber have been generated with research conducted at the ECSF, resulting in 40 Ecuadorian researchers obtaining Ph.D. and post doctorate degrees. Three important agreements were signed at the anniversary celebration. The first was a letter of commitment between the Water Fund for the conservation of the Paute River (FONAPA) and NCI. Through this agreement, NCI will support FONAPA in the implementation of water and biodiversity conservation activities in the municipalities of Sígsig, Santiago, and Sevilla de Oro. All of these areas are within the Sangay-Podocarpus Conservation Corridor. 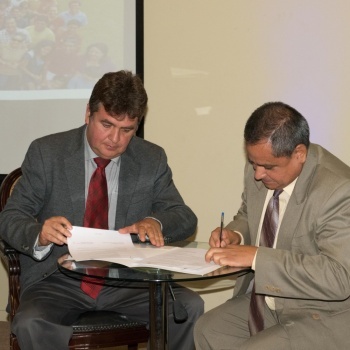 The second agreement was an interagency cooperative agreement between the Municipal Government of Gualaquiza and NCI. NCI will fund management activities of the Runahurco Municipal Ecological Conservation Area and the watersheds of the Yumaza and San Francisco rivers. The third document signed was an inter-institutional cooperation agreement between the Municipal Government of San Felipe de Oña, the Rural Parish Government of Susudel and NCI. NCI will help to finance management of the newly created municipal conservation areas and sustainable activities in Oña and Susudel. NCI Vice President, Renzo Paladines and Mayor of Gualaquiza, Patricio Ávila. For having supported NCI in its first 20 years of institutional life, NCI presented Certificates of Recognition to the Ministry of Environment, the German Program of Scientific Research; World Land Trust; Bos+ Tropen; Private Technical University of Loja (UTPL); United Nations Educational, Scientific and Cultural Organization (UNESCO); Ministry of Foreign Affairs and Regional Fund of Water (FORAGUA). At the end of the night, NCI presented three painted clay statuettes of the Pacific Hornero (a species of bird native to southern Ecuador to: Dr. Roswitha Schönwitz, ex-director of the Plant Sciences Program of the DFG, Marcelo Pino provincial director of the Ministry of the Environment in Chimborazo Province, and to Zone 7 of the Environmental Ministry.